Do Windows Recovery Disks Restore My Files and Information? If you are a Windows user you are most likely familiar with seeing the “blue screen of death,” then Windows crashing. The “blue screen” indicates there is an error either with hardware or with software. 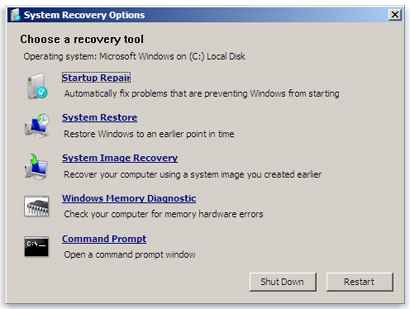 To get your computer back on track you might be prompted to use the system repair or system recovery options. These options will normally get you back on track without any issues, you may lose some of your most recent files due to the crash but a majority of your files will still be intact. When the error screen isn’t a minor issue and Windows will not start up, raises a need for concern. For aid in recovering a Windows system error(blue screen) start by following these steps. What if Windows Won’t Start? For most problems, the system restore options given will work. Under certain circumstances though, you will need to use a repair disk or USB to restore windows. In the event this happens it is likely that you will lose information. A common misconception happens with the “Windows Recovery Disks” or “System Repair Disks” that it will restore your files. Unfortunately, this is not the case. If you are posed with a major error and for some reason Windows will not start up, you should follow these steps laid out from Microsoft. For most consumers, either the system repair will work without needing the disks to initiate the repairs or Windows will work again after using the disks. However, if you still cannot get the computer running I suggest getting professional help as there could be an issue beyond normal system repairs. These major errors can be devastating if you are in need of files from your computer.Though windows has some pretty good security measures to make sure your files and documents do not get lost, data can be lost with severe Windows errors. To recover any documents or files you may lose while restoring your computer, it is best to contact a Windows data recovery expert. They will be able to restore your files that may have been lost from your computer’s hard drive. Lost Files? We Can Help. 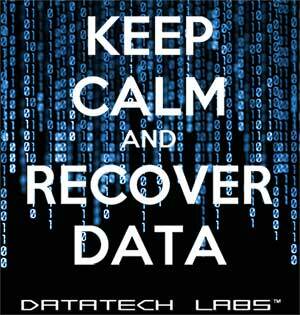 If for any reason you’ve lost files on your computer, DataTech Labs ® can help you. We have the highest recovery rates in the industry because we have the most experienced engineers. Our clean rooms are state of the art, with policies to keep you protected as a consumer. If you are interested in an estimate for your recovery submit your case today!